I studied Secure Information Systems and as such, like to call myself a security engineer with a passion for Free Software and DevOps. I'm very interested in combining FLOSS tools and DevOps principles to solve problems like Patch Management, Log Management, Security Event Management or Vulnerabilty Assessment. I strongly believe in Software Freedom and copyleft as a tool to improve Software Freedom overall. This is why, apart from my involvement with the fhLUG, I volunteer for FSFE by being a member of the Austrian team and by coordinating the local group in Linz. today is the last Wednesday in March, meaning that it’s Document Freedom Day. On this day we celebrate information accessibility and try to raise awareness of Open Standards. Checkout the DFD Website to find out more about why this is important. To show our support for DFD, the FSFE Fellowship Group Linz organized an information booth in Linz, near the Passage City Center. Feel free to visit us if you’re in the area. In the evening, the fhLUG is holding an open discussion round about Open Standards in HS6. We hope to see you there. In the meantime, have a great Document Freedom Day! 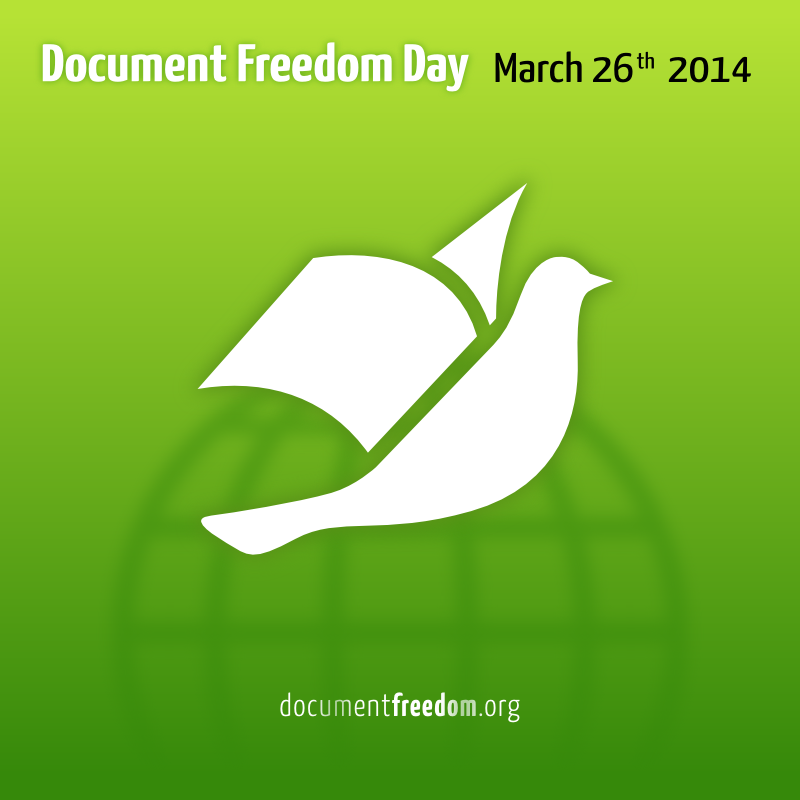 anlässlich des Document Freedom Day am 26.03.2014 wird es wieder ein fhLUG-Event geben. Ich werde zunächst einen kurzen Vortrag über den Document Freedom Day halten, bevor wir gemütlich über die Wichtigkeit und Vorteile von offenen Standards reden. Als kleines Goodie wird es Poster, Leaflets und Sticker zum Mitnehmen geben. Dem noch nicht genug, werden wir ab etwa 20:00 den ersten fhLUG GPG Stammtisch abhalten. Hier wollen wir in lockerer Atmosphäre Erfahrungen und key fingerprints austauschen. Es soll ein Fixtermin der fhLUG werden, den wir in unregelmäßigen Abständen abhalten wollen. Wir hoffen, viele von euch dort anzutreffen! in celebration of the Document Freedom Day on the 26th of March, it is time for another fhLUG event. I’ll give a short talk about the Document Freedom Day first, before we’ll casually discuss the importance and advantages of open standards. As little goodies, there will be leaflets, posters and stickers to take with you. But as if that wasn’t enough, starting at about 20:00, we’ll have our first fhLUG GPG meetup. This is going to be a recurring event that we’ll hold at irregular intervals. We want to enable you to exchange your experience as well as your key fingerprints.